Our last sketchcrawl was at a dance studio. 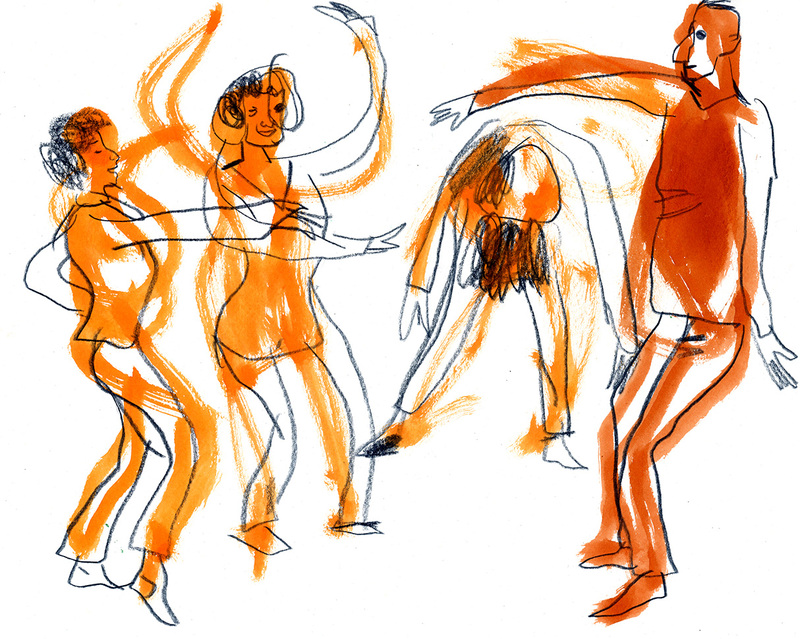 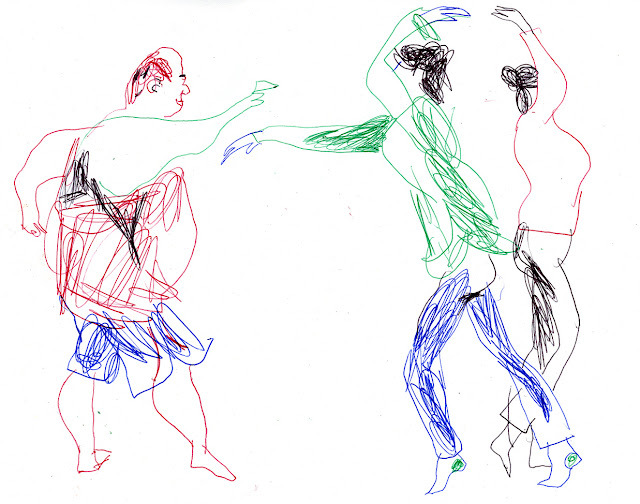 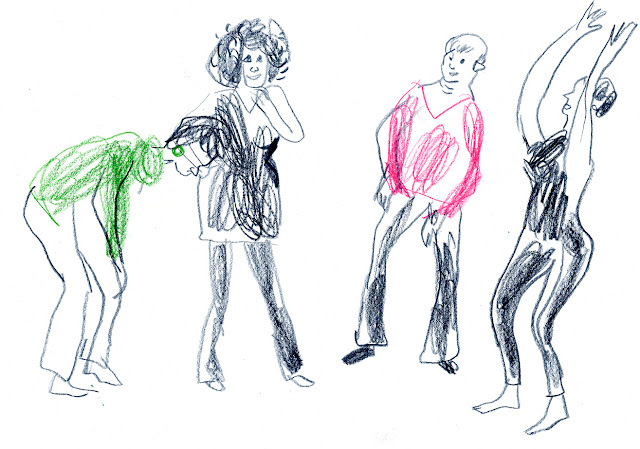 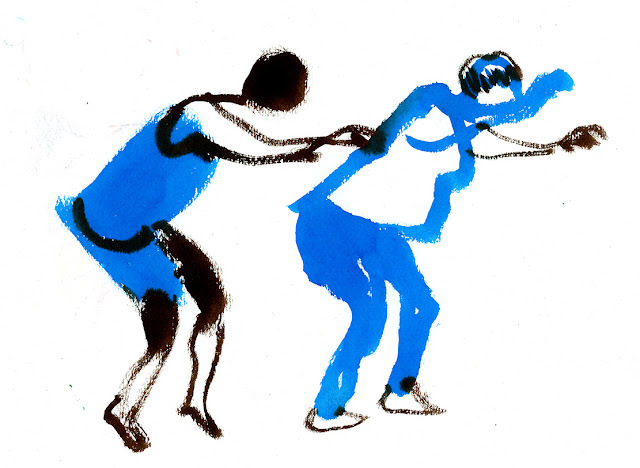 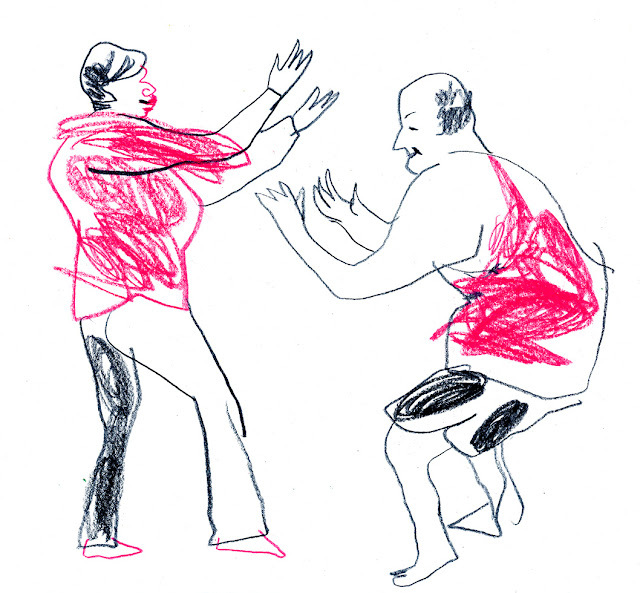 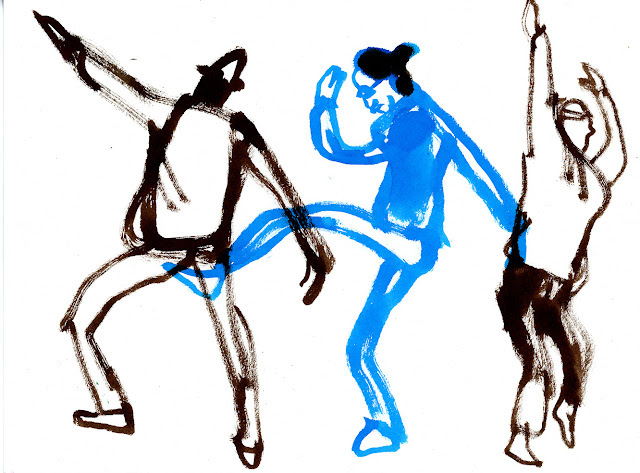 We was invited to sketch a dancing lesson of a group which belongs to Rio Abierto movement . 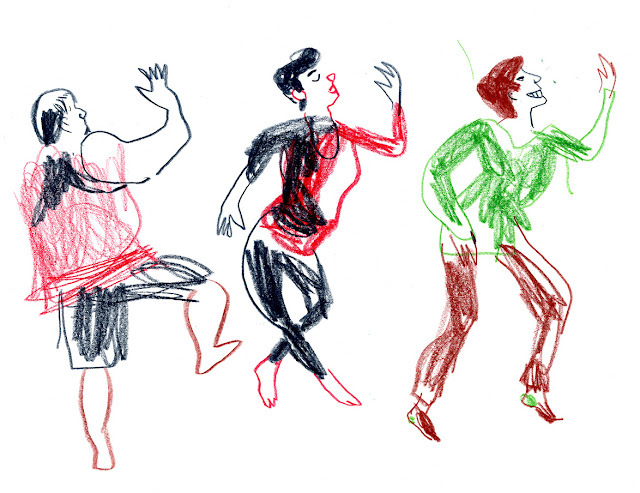 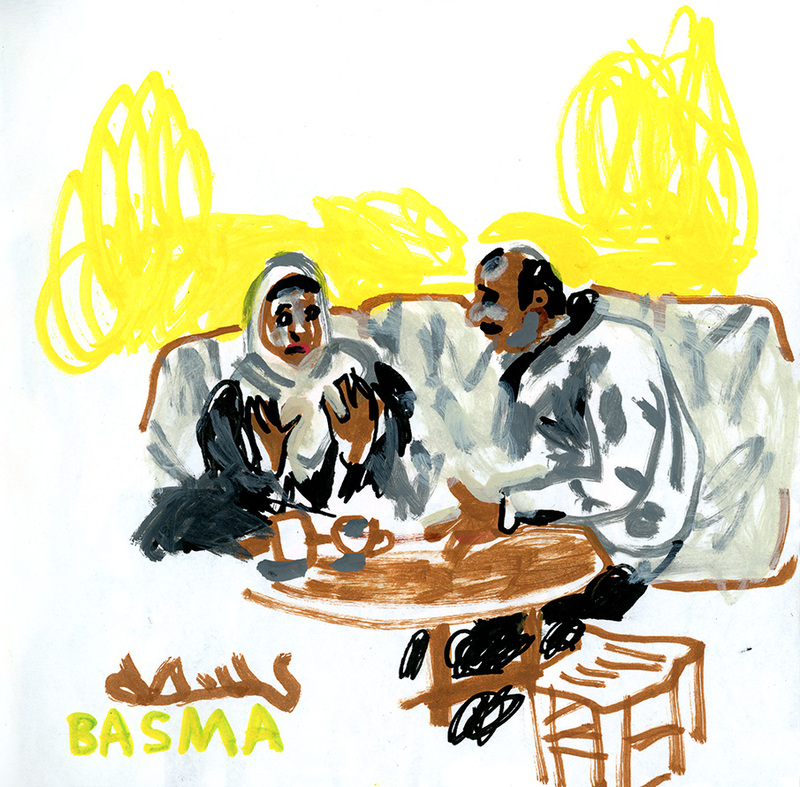 I love to sketch processes, people in motion - is really exciting mission, so naturally I jumped at the opportunity. 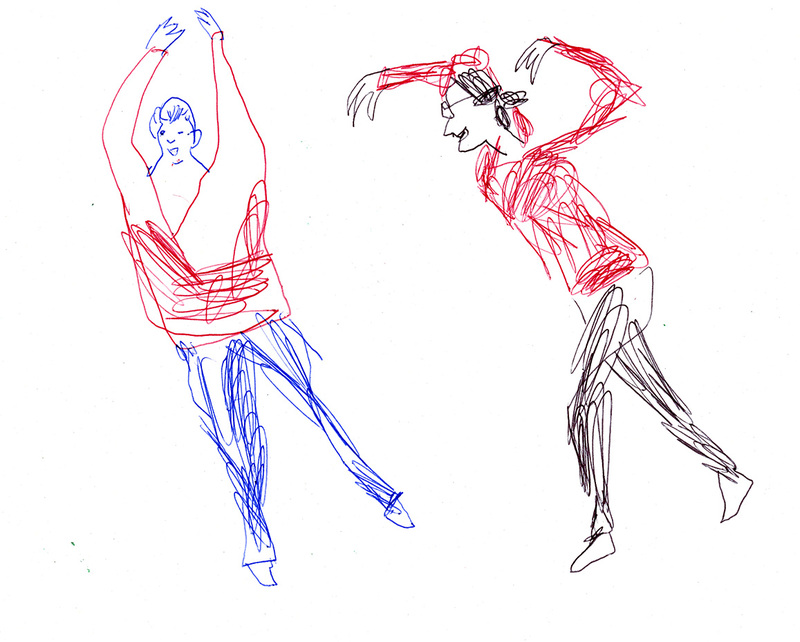 But I didn't expected that combination of sketching with dance, and maybe with specific kind of dance - free, connected from inside to outside, would make the experience even stronger, and would take it to another level! 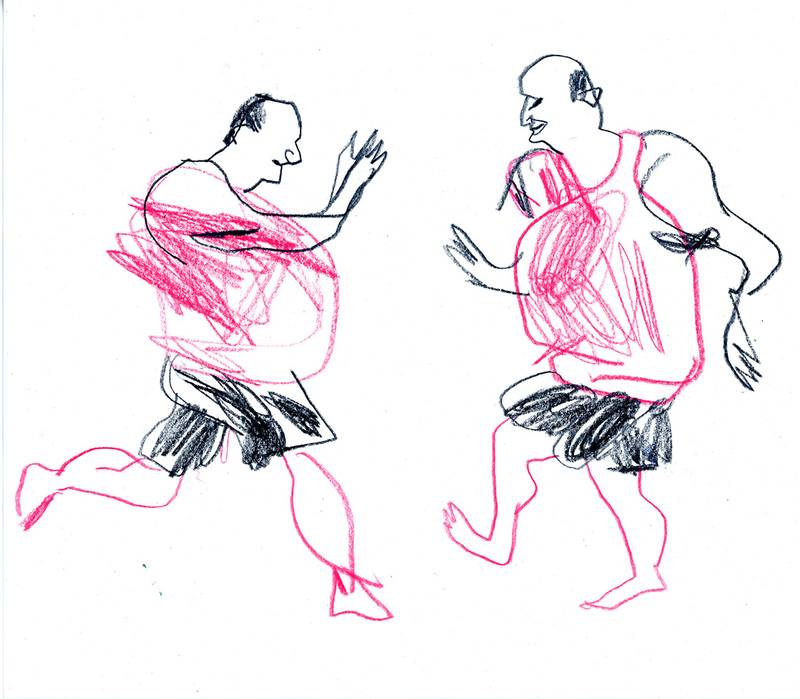 I think that it IS possible to transfer energy, emotion, feeling in a fast and expressive sketch. 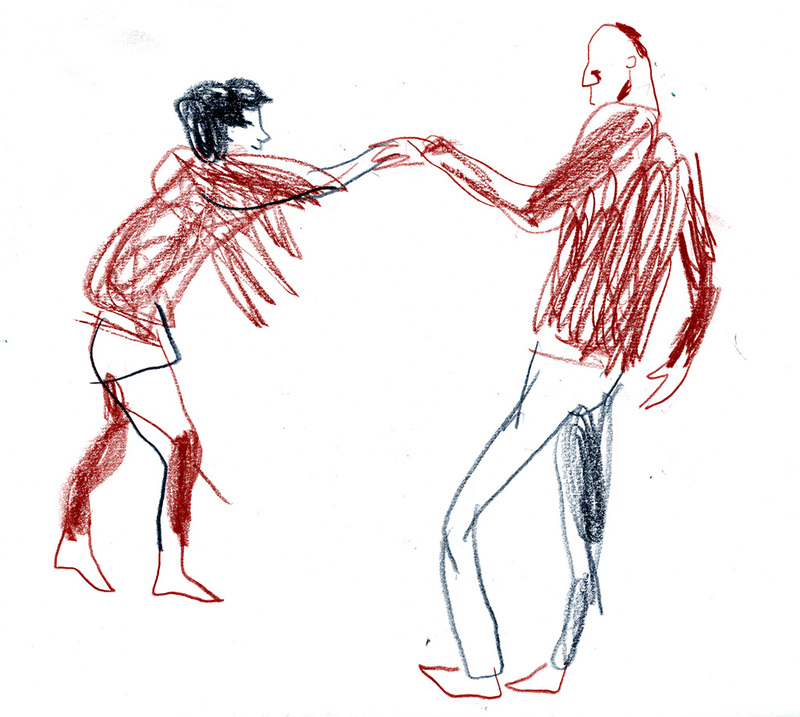 For me those sketches like a memories in the bottle - when I look at them I can again to taste a bit the flavor of the experience. 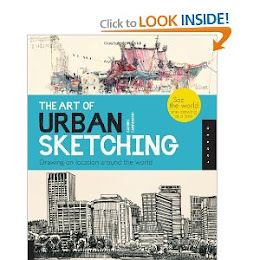 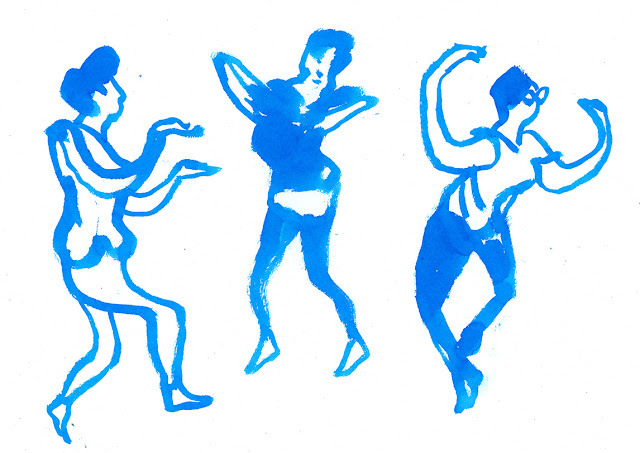 We are going to organize another sketching-dancing meeting, stay tuned! Last night I took a part in a protest march common to Jews and Arabs, for equality and against racism. 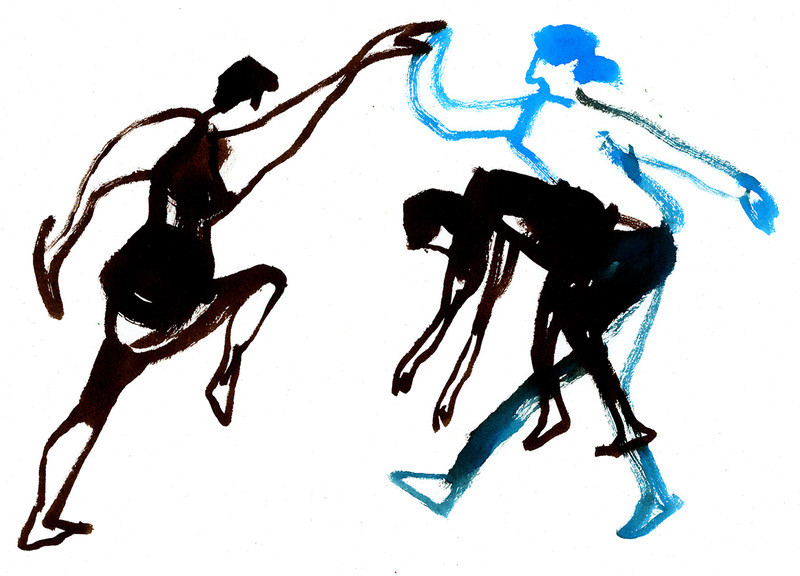 You can call me naive, but I believe that most of people just want to live in piece one with another and that we much more in common. And that it is the only way to survive in this crowded place. 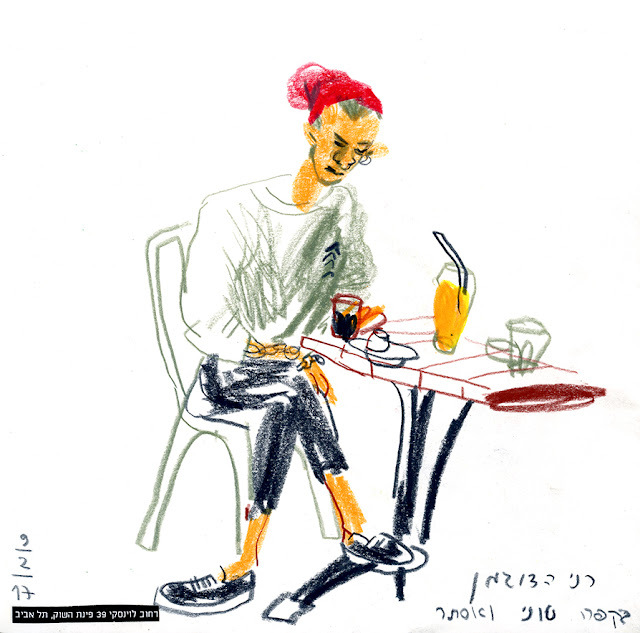 It was something very optimistic in those people marching together in the heart of Tel Aviv.